The year is 1918 and in Iceland the erupting volcano Katla can be seen colouring the sky night and day from the streets of Reykjavik. Yet life in the small capital carries on as usual, despite the natural disaster, a shortage of coal and, in the outside world, the Great War grinding on. There, sixteen-year-old Mani Steinn lives for the new fashion - the movies. Asleep he dreams altered versions of them, their tapestry of events threaded with strands from his own life. Awake he hovers on the fringes of society. But then the Spanish flu epidemic comes ashore, killing hundreds and driving thousands into their sick beds. The shadows of existence deepen and for Mani everything changes. 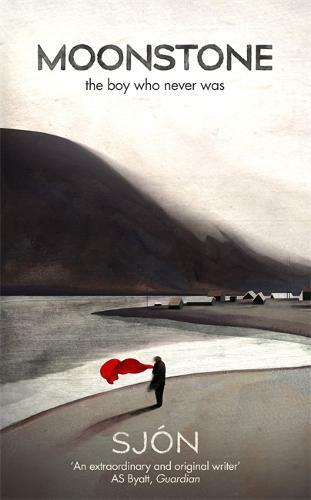 Capturing Iceland at a moment of profound transformation, this is the story of a misfit in a place where life and death, reality and imagination, secrets and revelations jostle for dominance. With not a word wasted, this mesmerising and original novel is the work of a major international writer. This beautiful little book arrived in my postbox earlier this week and I couldn’t take my eyes off it, and so decided to sit down and enjoy it in one sitting. Thanks so much to Hodder & Stoughton and NetGalley for making review copies of this book available to booksellers.